Castle’s models learn “good” behavior from your customers. Distributed supervision pushes the training and labeling to your end-users. From credential stuffing botnets to manual takeovers, turn on AI that scales naturally to protect your growing environment. Models designed specifically for ATO. Detect automated and manual access on user accounts. Real-time discovery of unique attack signatures protects you from sophisticated automated attacks. Learning behavioral norms for each user makes anomalous activity from both bots and humans stand out. Offload the training and labeling to your end-users, and build mutual trust in the process. From the moment an account takeover is detected, Castle goes into autopilot, seeing the customer through to full account recovery. No lockouts, complaints, or drops in your core business metrics. Account takeovers can be chaotic. Formalize a process that works for your app and your users. Zero Lockout Workflows ensure good users are never locked out, even if you are overly cautious. Security in the background. Automate intrusion alerts and step-up auth, but only when they’re needed. Account takeovers without the stress. No more manual overhead or support tickets - just closed cases. Investigate without the blinders on. APIs, Dashboards, and UIs provide transparent insights into every threat signal, risk score, and event tracked per device within a user’s account. 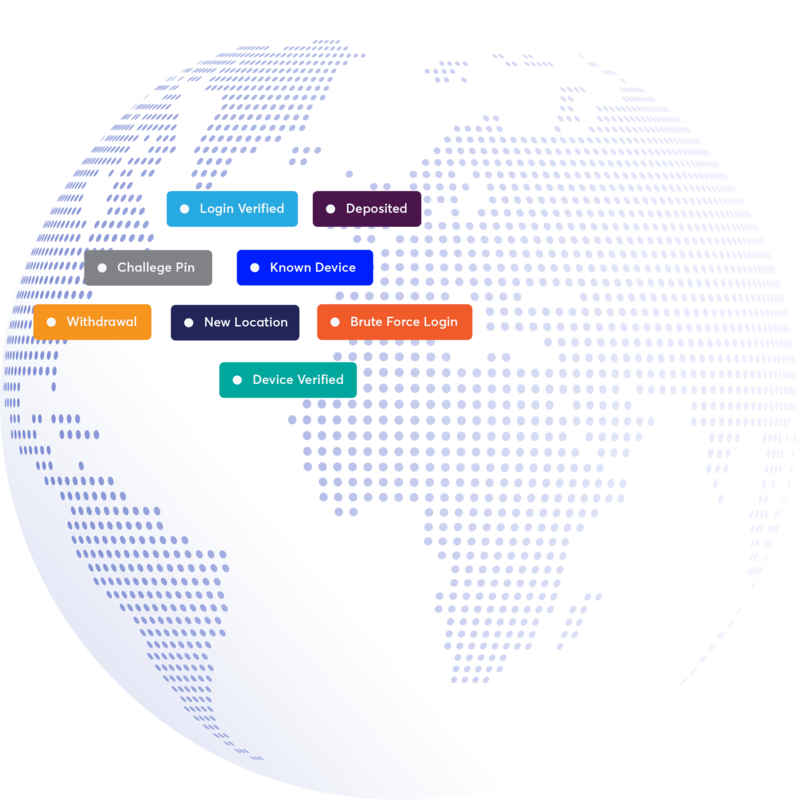 Complete visibility into your users’ individual devices and access patterns. Sprinkle Castle throughout your app. Secure critical events, from profile changes to transactions. Stop bad actors in their tracks, while good users continue browsing on trusted devices. No black boxes or ambiguity. See every threat signal detected on a device. Device List APIs, Adaptive Auth, Security Event Webhooks. Deconstruct Castle into basic blocks to secure any UX your team dreams up. Security without sacrificing KPIs and conversion rates. Authenticate any event, pre & post login. Security for your entire application, not just the front door. 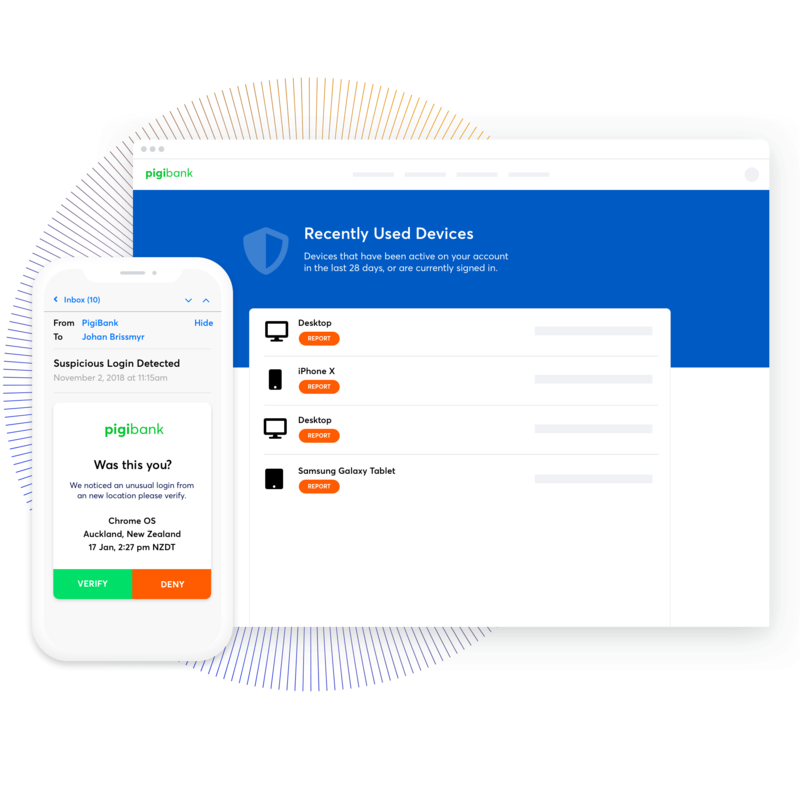 Build in-app widgets where users can review their devices and participate in their own security experience. From monitor-mode to passive notifications to active blocking. Start slow, and layer on when you’re ready. Modular APIs are designed to mold around your app’s unique UX, not the other way around.